Vienna VA’s best commercial & residential movers! Looking for unequalled and professional Vienna, Virginia movers and packers? We are the only company to call. Our pro Vienna movers can help make your move easier and free of stress. We offer local and long distance moving as well as storage, making us your all-inclusive moving service choice! Give us a call or email us today for more details about our many services, prices, and any promotional offers. We are the best choice in Vienna and surrounding communities for a reason. We have gained the trust and appreciation of Vienna families and small business owners who choose us to handle all their moving needs in Fairfax County, VA. Our highly competitive rates are determined by the amount of time it takes to complete your move, the number of our pro local movers needed, and the drive-time for our Vienna movers to get to your home, start the process, and to return again after a job well done. If you are planning a big (or not so big) move out of the Vienna area, we are here to help! Our Vienna pro movers are also expert in packing so you can be assured that our caring experts are in good charge of your personal items and that all will be secure and safe while in transit to your new location, whether it is across town, the state, or the entire country. Rely on us for packing, moving, and storage no matter your starting point or destination. Let our Vienna pros worry about your items so you don’t have to. Call us for more info and a free moving quote! Looking for the best movers in Vienna? 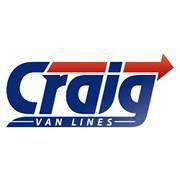 If you choose Craig Van Lines as your Vienna moving company, you’ll soon realize that the hardest part is over. With almost a century of experience in the Northern Virginia moving industry, we deliver – on time, every time. Our experienced and professional movers will pack, transport, deliver and unpack your property with great care and consideration. We treat each box as if it were our own and we always deliver on time anywhere in Northern Virginia and throughout the United States.